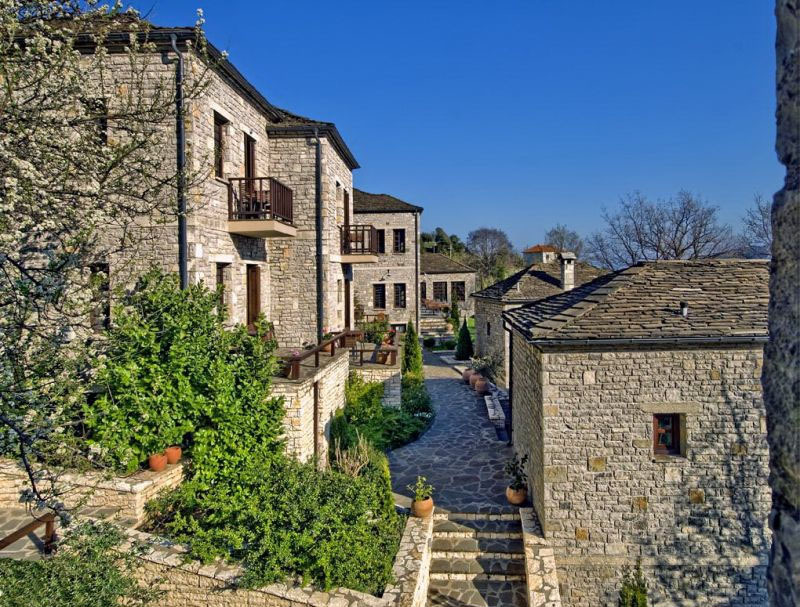 Teetering over the majestic Vikos Gorges and Voidomatis River in Epirus Province in Greece, the Aristi Mountain Resort is an 18-room hotel on the highest point in town. Original architecture of the stone building is preserved according to local laws. The cozy rooms with hardwood floors and stone walls echo the reflect simplicity of the region.